The Beach Hazards Statement is in effect from 8 a.m. Friday through 5 p.m. Saturday for Lake Michigan beaches from Holland to Manistee. 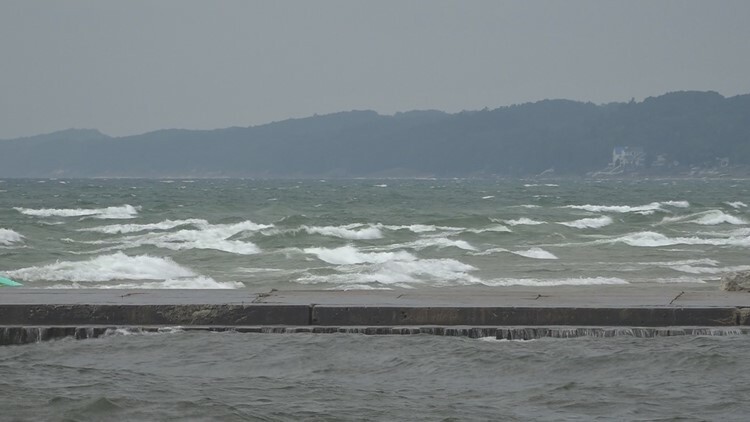 (Grand Haven Tribune) - The National Weather Service office in Grand Rapids has posted a warning for dangerous swimming conditions in Lake Michigan for beaches in Ottawa, Muskegon, Oceana and Mason counties. The Beach Hazards Statement is in effect from 8 a.m. Friday through 5 p.m. Saturday for Lake Michigan beaches from Holland to Manistee. Beaches with particularly dangerous conditions include Grand Haven State Park and Pere Marquette Park in Muskegon. — High wave action, strong currents and dangerous conditions are expected. — Strong structural and longshore currents are expected. — Rip currents are possible. — South winds will increase to 15-25 mph Friday and waves will build to 4-8 feet. — Strong longshore currents and structural currents are expected to develop. — South-facing piers will be particularly dangerous. — Additionally, the high waves will overtop the piers due to high water levels. — High wave action makes swimming difficult and can tire even a strong swimmer quickly. What do those currents mean? — Structural currents form along piers where longshore currents and wave action flow into the structure. Structural currents can sweep you out into deeper water along the pier structure. — A longshore current is a lake current that moves parallel to shore. Longshore currents can be strong enough to prevent swimmers from being able to keep their feet on the bottom, making it difficult to return to shore. — Rip currents are powerful channels of water flowing quickly away from shore, which occur most often at low spots or breaks in sandbars. Rip currents can sweep you into deeper water.